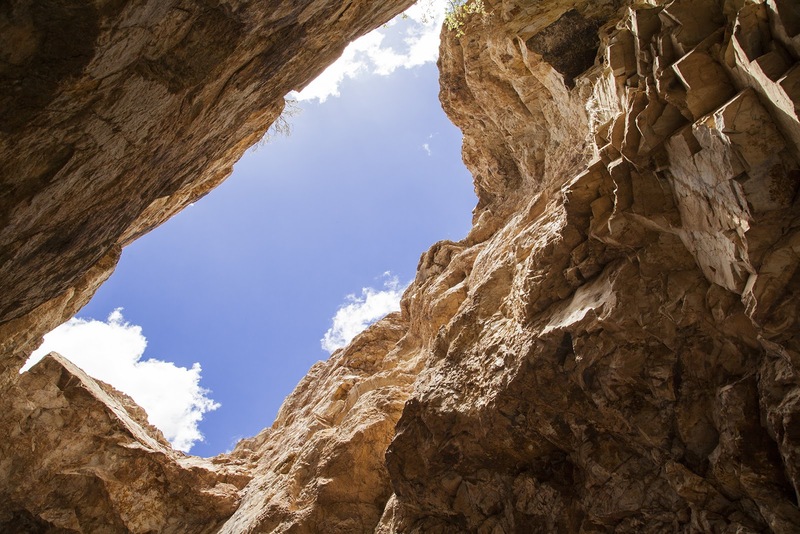 The real story begins thousands of years ago in the Cerrillos Hills of New Mexico beginning around 600 A.D., first from the Native American peoples, then the Spanish colonists and, later, American Mining companies. During the Spanish period, the pueblo indians continued to mine turquoise for their own use while the Spanish considered turquoise worthless and laughed at the Indians for mining it. With the arrival of the railroad in 1881 and the development of tourism, people started traveling west and began snapping up the Pueblo Turquoise Jewelry. And the turquoise fad took off. 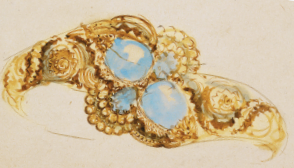 Drawing by Paulding Farnham of a turquoise bracelet circa 1890. 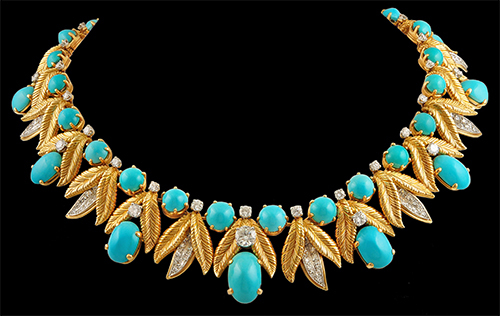 Kunz had recognized the possibilities of further branding the Tiffany Blue color by maintaining almost-exclusive rights to the turquoise he made suddenly valuable. 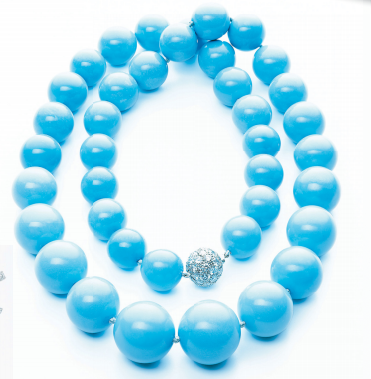 A specific turquoise mined in that time in Cerrillos was of the specific “Tiffany Blue.” Almost all of the turquoise was sold to Tiffanys, where designer Paulding Farnham (regarded by some as “Tiffany’s lost genius”) crafted some $2 million worth of it into jewelry. 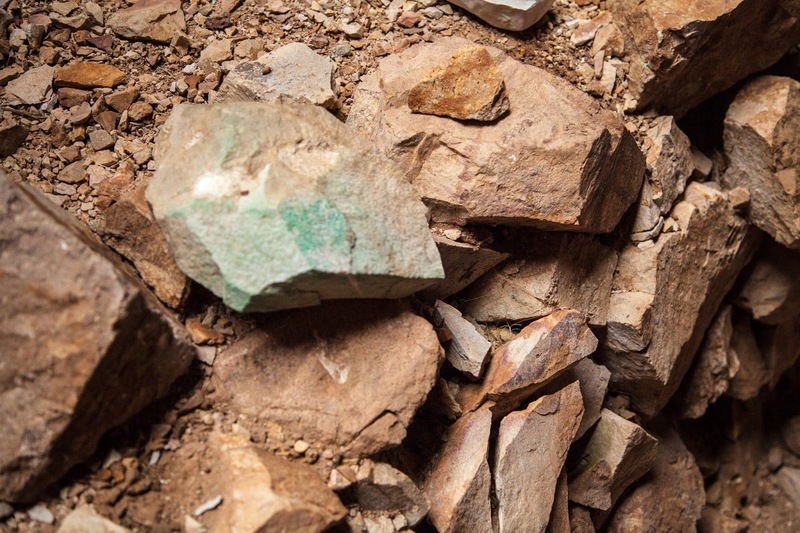 Tiffany’s still uses the finest and rarest turquoise in their collection, but the Tiffany Cerillos mine is no longer being mined. On my recent trip to New Mexico, I had the pleasure of going into the Tiffany Mine where that infamous Tiffany Blue can still be seen.